SOLIDWORKS Product Data Management (PDM) solutions help you get your design data under control and substantially improve the way your teams manage and collaborate on product development. 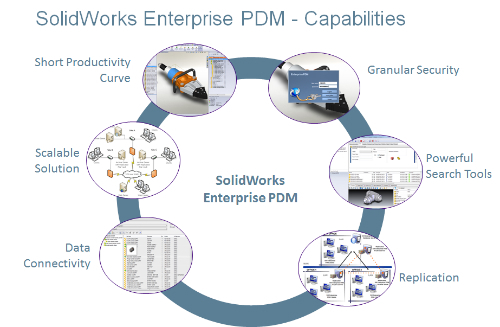 SOLIDWORKS PDM Professional is a full-featured data management solution for organizations large and small. SOLIDWORKS PDM Professional helps your team more easily find and repurpose files, parts, and drawings; share design information; automate workflows and ensure manufacturing always has the right version.